Rascal Flatts are the famous american country music band. 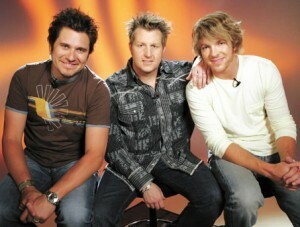 Every one of their 26 single releases has been charted in the top 20!Recording since 2000, the Rascal Flatts have released several famous hits, such as “Fast Cars and Freedom” and “Take Me There”. More recently they’re song “Life Is A Highway” was recorded for the well known animated film Cars. With these 3 outstanding country legends under one roof it’s going to be one fantastic night!